A credit score is a three-digit number used to determine the creditworthiness of an individual and is created by the Fair Isaac Corporation (FICO). 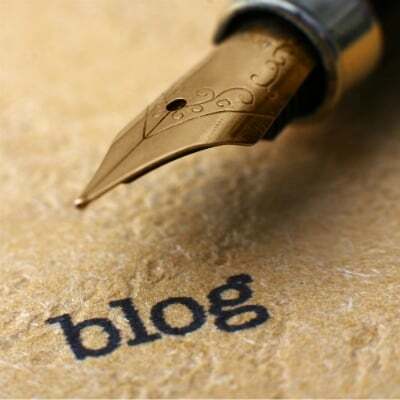 The score is calculated based on an analysis of a person's credit history and files. 2. How is a Credit Score Calculated? 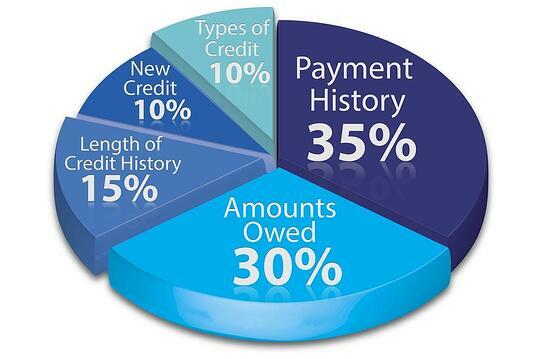 Your credit score is made up of data based on five major categories. Some factors are weighed more heavily than others as shown below. Utilization rate (30 percent of your overall score)—This is how much you owe on your accounts compared to your credit limits. A debt to credit limit ratio helps determine if you are maxed out. The amount of credit you have available on accounts is heavily weighted. Type of credit (10 percent of your overall score)—How many open accounts you have as well as the different types, such as revolving cards and installment plans. Inquiries (10 percent of your overall score)—Your pursuit of new credit, including credit inquiries and number of new accounts. 3. How does credit score impact buying a home? Your credit score will help determine your interest rate and monthly payment when buying a new home. The higher the credit score, the lower interest rate you will likely get. 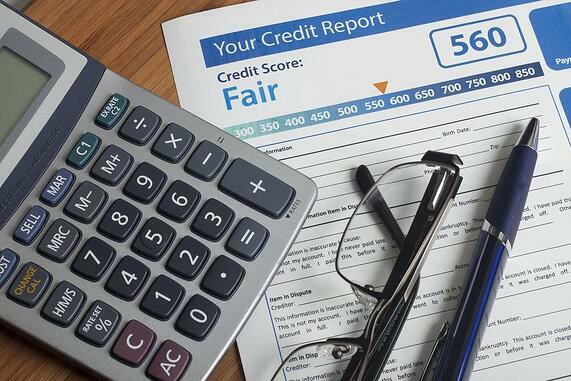 Lower credit scores can mean higher interest rates, but don’t completely disqualify you. You don’t need perfect credit to qualify for a home loan. A person with a “very good” credit score (between 700 and 800) could be offered an interest rate considerably lower than someone with a “poor” credit score (between 580 and 619.) While both individuals may qualify for a new home loan, the one with the higher credit score could potentially pay significantly less in interest and payments for their loan. 4. Where Can I Find My Credit Score? 5. How Can I Improve My Credit Score? Make your monthly payments on time, every time. Pay credit cards down to 30% or less of their limit. Limit the amount of accounts you apply for at one time. Leave established, older accounts open even if they’re paid off. Additionally, refer to the five factors which determine your credit score and focus on the areas that carry the most weight first. My FICO: Offers tips on how you can improve your credit score, both immediately and long term. Experian: One of the three large consumer reporting companies, Experian provides credit reports and scores so individuals can monitor their credit and check for inaccuracies. Forbes: Offers tips that consumers can implement now to quickly raise their credit score. Want to learn more about how you can prepare to buy your first home? This easy-to-use workbook covers credit scores, finances, pre-approval and loan options.